Bard Al Ajouz, the “old man’s cold,” describes a drop in temperature that is so fierce it is supposed to hit you in the bones. The cold snap starts in the final days of February and ends in mid-March, bringing the strong shamal northerly winds in its wake. It is a pattern that has been predictable in the Gulf for generations – until the past few years at least. Even in the modern day, with our weather satellites and sophisticated instruments, such traditional wisdom can still prove valuable. While correlation should not be confused with causation, observations of the weather have reinforced what we already know: The effects of climate change are increasingly being felt across the world. For the arid Gulf region, among the most susceptible to changes in temperature and rainfall, the consequences simply cannot be ignored. The ancient Gulf calendar, Al Drour, referenced by the legendary Arab navigator Ahmad Ibn Majid more than 500 years ago, has long provided an almanac for people eking out a living in an inhospitable environment. The calendar indicated when was the best time to plant crops and even the best seasons for fishing and pearl diving. The 365-day cycle is divided into four seasons, three of which count 100 days (including two summers, because this is the Gulf) and one of 60, with the final five “stolen days” known as Al Khams Al Masrouqa. What value does Al Drour offer today, when weather-forecasting technology improves at an exponential pace? Elders in the UAE have an important answer to that question: To understand climate change. It may come as a surprise that the elderly are so clearly aware of the potential signs of climate change and the shift in weather patterns over decades, rather than the short-term fluctuations of fickle weather. Relying on centuries-old wisdom, they are coming to the same conclusions as leading climate scientists, who overwhelmingly conclude that climate change is proceeding at an alarming rate, with consequences that could be devastating and irreversible. These effects threaten animal and plant life and lead to longer, more intense heatwaves, more frequent wildfires, longer periods of drought in some regions and an increase in the number, duration and intensity of tropical storms. There is more urgent work to be done on the science side in the MENA area (there is a lot of work done elsewhere), but the consensus is undeniable. Of course, the issue continues to be muddled by political agendas and misinformation campaigns by those with vested interests and who profit from old polluting industries and energy generation. In the middle of March, there was much-needed clarity as 1.5 million young people in 123 countries took action, skipping school and demanding stronger climate policies in one of the largest environmental protests in history. The movement’s leader, 16-year-old Swedish activist Greta Thunberg, earned worldwide acclaim earlier in the year at the World Economic Forum in Davos. “On climate change, we have to acknowledge that we have failed,” she told global leaders. That message has resonated, particularly among young people, as the #FridaysForFuture protests have snowballed, from the teenager’s solo protests on Fridays in front of the Swedish parliament to the global demonstrations on March 15. Thunberg’s actions are a striking example of youth taking the mantle of leadership from the older generation, and I for one applaud her nomination for this year’s Nobel Peace Prize. If she wins, she would be the youngest recipient since Pakistan’s Malala Yousafzai, who was 17 when she received the prize. The recent demonstrations saw young people take to the streets in countries across the world, but Arab youth were conspicuously absent. Perhaps it is unsurprising that there is less appetite for protest and the attendant risks, particularly in unstable countries in the region, after years of political turmoil often ending in violence. But while climate change might not be felt with the same urgency, the region’s unique geography and ecology mean that it is particularly vulnerable to water scarcity, food insecurity, drought, heat waves, disease and many other major consequences. 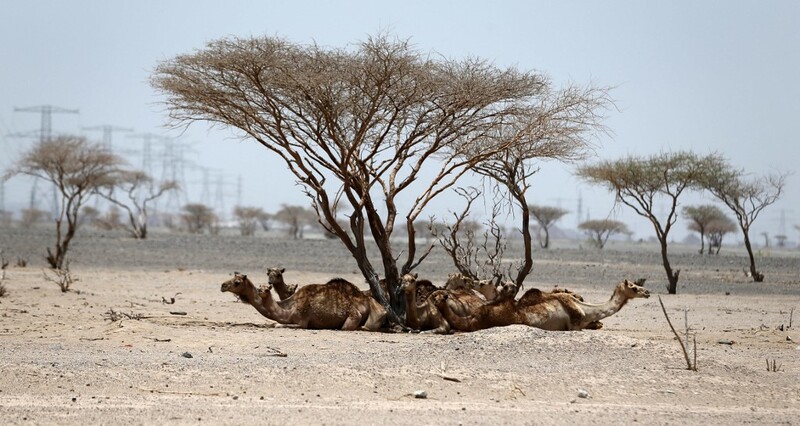 In 2018, the Emirates Wildlife Society-WWF warned of significantly hotter summers with increased sandstorms, higher humidity and more rain that could trigger flash floods, all as possible effects of climate change. This will impact the productivity of outdoor workers and increase risks to residents’ health, as well as place greater strain on energy resources as demand for air conditioning rises. As cliched as it may sound, we need to heal ourselves, which includes healing our home, the planet we have so often taken for granted. A 16-year-old inspired the world. What’s our excuse?